1 Bedroom Flat For Sale in Clacton-on-Sea for Guide Price £72,000. This property's price has dropped from £75,000 to Guide Price £72,000. Being sold with no onward chain, Bairstow Eves are pleased to offer for sale this delightful one bedroom first floor flat for the over 55's. 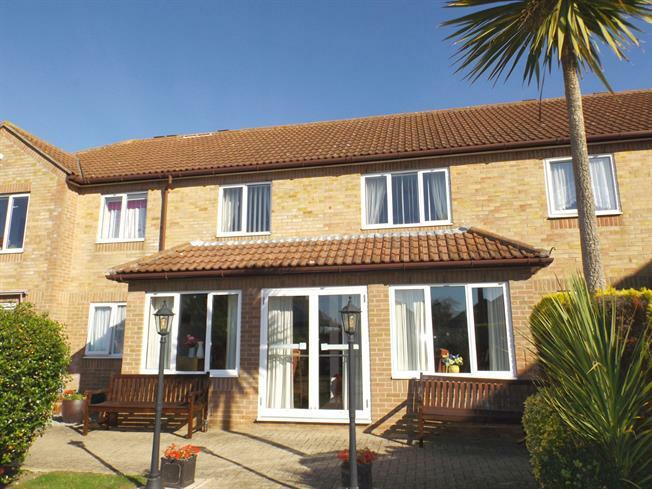 The property is within a safe and sound complex which has a service manager five days of the week, window cleaning, hairdressing salon, laundry room, lift, secure entry system and communal gardens kept clean and tidy. The property is a very bright flat and presented in good decorative order and is also located within a mile of Clacton town centre and mainline train station so please call to arrange your viewing. Vinyl flooring, tiled splashbacks. Fitted units, stainless steel sink and with mixer tap with drainer, integrated oven, integrated hob. Electric heater and heated towel rail, vinyl flooring, tiled walls. Low level WC, panelled bath with mixer tap, shower over bath, pedestal sink with mixer tap.